We firmly believe in, and only carry out, permission marketing. We’ll never sell or share your personal information with anyone outside of Wildheart Media. At Wildheart Media we are committed to maintaining the trust and confidence of our visitors to our website and subscribers to our newsletter. Here you’ll find information on how we treat data that we collect from visitors to our website, or when someone subscribes to our newsletter. When someone visits wildheartmedia.com we use a third party service, Google Analytics, to collect standard internet log information and details of visitor behaviour patterns. We do this to find out things such as the number of visitors to the various parts of the site. This information is only processed in a way which does not identify anyone. We do not make, and do not allow Google to make, any attempt to find out the identities of those visiting our website. 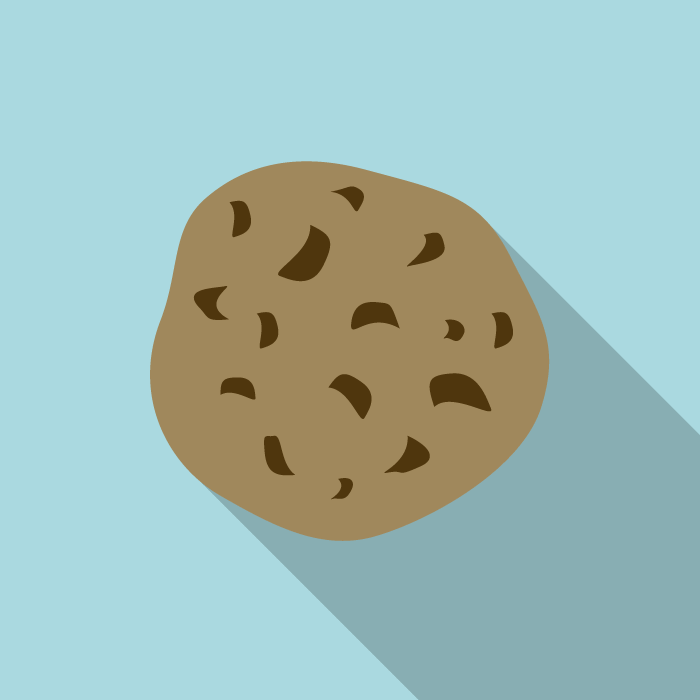 You can find more information on how cookies are used on this website in the Cookies Policy below. We collect personally identifiable information, like names, email addresses, etc., when voluntarily submitted by our visitors. The information you provide is used to fulfil your specific request. This information is only used to fulfill your specific request, unless you give us permission to use it in another manner, for example to add you to our mailing list. Cream the butter & sugar until light & fluffy, then beat in the vanilla extract & eggs. In a separate bowl sift the flour, cocoa & baking powder together. Add the flour mix to the creamed mix in stages (1/3 at a time) & mix well. 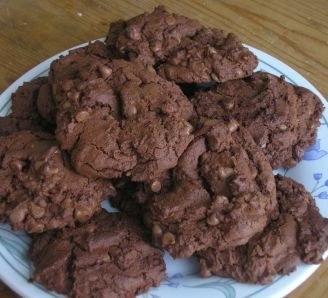 Fold in the choc chips until just combined. Spoon a tbsp of the mixture onto a baking tray & let it drop off the spoon. Repeat until you’ve used up all the mixture. Bake in a preheated oven for 12 mins. When you remove the cookies from the oven they’ll still be soft – leave to cool completely on the baking tray & they’ll continue to cook slightly. When completely cold, move to a cooling rack.